Harmonized prices will make things simple and transparent for the customer, Visser said. 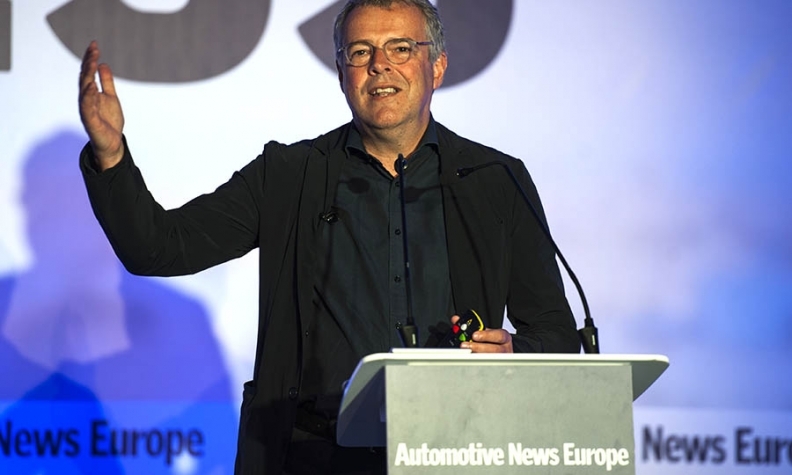 The Zhejiang Geely Holding Group subsidiary, which will start European sales in 2019, plans to limit model variations, harmonize prices across the euro area and offer everything from full ownership to mobility service subscriptions online, Lynk & CO Senior Vice President Alain Visser told the 2017 Automotive News Europe Congress here. Lynk debuted its 01 crossover last autumn in Berlin and unveiled a design prototype for its 03 Concept compact sedan at the Shanghai auto show in April. A third model, the 02, also is in the pipeline. Visser said one of the great mysteries executives cannot explain is why the car industry is the only one where customers always end up negotiating a discount, even when buying a Mercedes-Benz for 100,000 euros. While harmonized prices across all euro-area markets makes things very simple and transparent for the customer, even more important, according to Visser, is that Lynk & CO has a lean product offering that changes frequently. This will entail a small number of variants that will change every six months to keep them fresh, similar to the seasonal collections presented by fashion designers. Between the various engines, transmissions, colors and options, he said on average manufacturers had to cope with a huge number of build combinations, which adds cost complexity and can also scare away buyers. “One of the biggest frustrations of customers today, most of all in China, is the fear of making a wrong choice,” Visser said. The brand is called Lynk & CO to emphasize that its cars will offer a high level of connectivity. Owners will have the possibility to earn money on the side by sharing their vehicles with others when they do not need them via a digital key. All Lynk & CO models will come with a large central touchscreen and telematics systems that are always connected to the Internet and to the car's own cloud network. Owners can use the brand's app to control and monitor their cars from a smartphone -- or directly from the car.